Episode 17, Sanctuary, picks up where the previous episode left off: with snow falling, the power cut at the hospital, and Max and Helen seemingly about to discuss their relationship. The conversation does happen but it’s delayed a little. With the power out the priorities shift to getting the generator back up and New Amsterdam becomes a flurry of activity as life-threatening conditions are tackled in the dark. Reynolds, without power, works to save the life of the man he pulled off the fence. Elsewhere Iggy deals with the complications of a prisoner stuck in a powerless MRI machine. And mildly claustrophobic Vijay is trapped in an elevator. Despite the odds against them, all three work to save lives this week in different ways. When the generator isn’t an option they turn to getting emergency batteries online. It will buy them enough juice for one floor for one hour. But with babies getting cold, surgeries on hold, and a whole hospital of patients in need, they’re going to have to move patients to one place to cover everyone’s needs. Max has never met a problem he doesn’t think he can’t solve. His can-do attitude keeps moral up, keeping everyone moving forward. It’s completely frustrating for Helen and it just solidifies the fact these two need to finish their conversation before the episode ends. They’re not working well the way they currently are. Something’s gotta give. Doctor Candelario brings all her skills from Afghanistan to New Amsterdam and shows the city doctors how surgery is done. From the elevator Kapoor saves the life of a woman who gave birth the previous day, using techniques a doctor with him raises an eyebrow at. It’s a similar story to what’s happening in the ER, with someone believing they don’t have the tools because they’re not used to having to improvise. It’s a good lesson for some of the younger doctors, forcing them to realise how much they rely on machines. Max and Helen are exactly the kind of people you want in charge in a situation like this one. Helen questions Max’s decisions and gives him more options than he can see. Between the two of them they have ways of getting through this night, they have options. 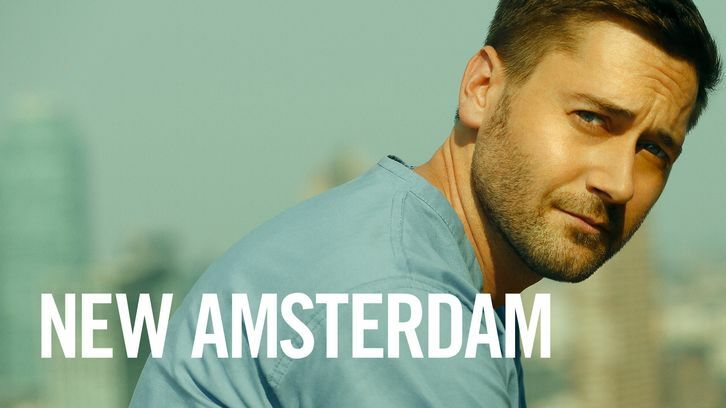 New Amsterdam needs Max, but Max needs Helen. He puts a lot of trust into the prisoner previously stuck in the MRI to help get the generator back online. Helen puts forth a different idea, based on the belief the storm will break in a few hours, to have a helicopter land on the roof with a new generator, but that would mean waiting and hoping and choosing. Max and Helen clash a little over this and it’s all leading to that overdue conversation the two need to have. Because Max doesn't want to choose, and this is in reference to his work, his cancer, and his relationship with Helen and all the roles she plays in his life. The prisoner keeps such a suspicious way about him he will keep you wondering whether he should be trusted or not, and this will have you questioning some of Max’s choices. This escalates with Max and Helen having to have a difficult discussion about who lives and who dies. And it’s a decision Max isn’t willing to make. Helen, however, pushes aside all other roles in this moment and plays the one he needs most: that of deputy. On the roof overlooking snowy NYC, the two finally have their conversation. Helen reminds Max of how he constantly wants everything, how he can’t choose, and she’s talking about the night they just had, moments she has seen in the past, and their relationship in general. He expects her to be there in too many different ways, and it’s too much for her. He is tackling his cancer in a similar way. “What if I want you?” Max asks, and it may be in reference to Helen being his oncologist but it’s a loaded question that asks so much more. Helen appears to recognise this. Max doesn’t yet seem to. With Helen determined to only play one role this should make things a little tense and even awkward between them in the remaining episodes. If he really has just lost her as his doctor, and if she’s taking a step back as his friend, it will be interesting to see how this affects Max as he is forced to switch to a new oncologist and loses a confidant. It’s a shake up that threatens to change dynamics as the season draws to a close. Is it next Tuesday yet?